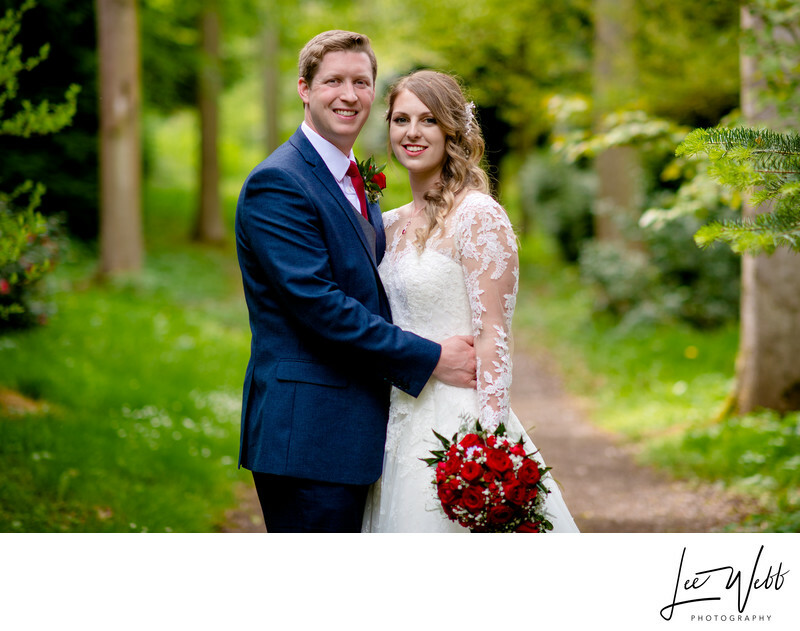 Ailsa and Ant got married at Rock Village Church near Kidderminster, and elected to host their wedding reception at the incredible Bodenham Arboretum, a real dream location for any wedding photographer. The huge site features hundreds of trees, bushes and plants as well as a fern garden and many lakes. During my final pre-wedding consolation with the bride and groom, we had walked the venue extensively so come the wedding, we knew exactly where we wanted to head at the Arboretum as well as the photos we wanted to take. Straight from the car park we found a stunning path lined on either side with large trees. I started with a very simple photo, to warm to couple to me gradually and asked them to stand in a way that felt natural to them. I used one of my favourite portrait lenses, the Nikon 85mm f/1.4G at an aperture of f/2. Shooting at f/2 meant that both the bride and groom would be in sharp focus, but the background was free to gradually blend away towards a silky green soup. This effect makes it look like the couple have been super-imposed onto the colourful background, when in reality it's all done in-camera. The open shade meant that the contrast from the midday sun was mitigated, allowing the couple to stand in comfort, not having to squint and not over heating. 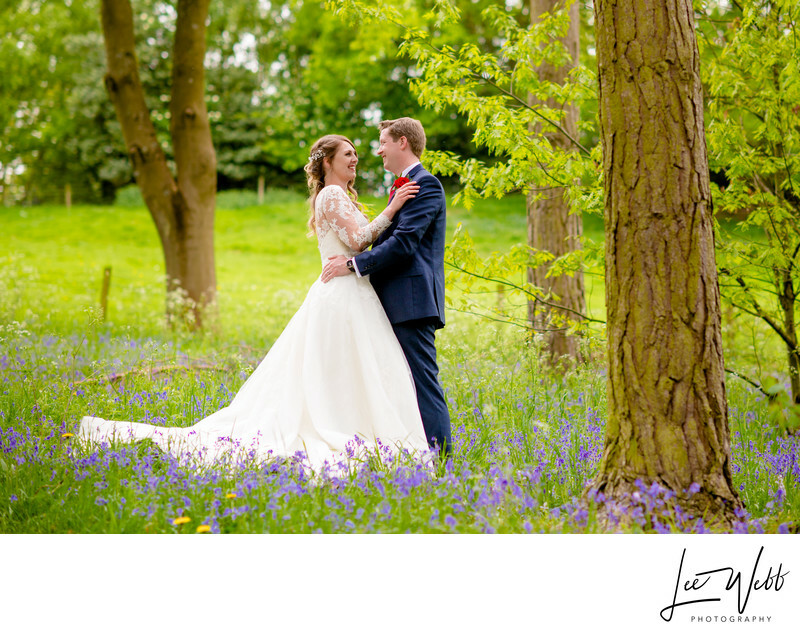 All told, we spent about 30 minutes walking around Bodenham Arboretum but to be honest, if we had 30 hours we could have still found new and exciting places to take beautiful wedding photos. We found another stunning location for a wedding photo at the far end of the arboretum, right before we were due to make our way back to the reception. Bluebells had begun to flower which was a pleasant surprise and added a lovely dash of colour to the photos. Again I asked the bride and groom to take up a natural pose, which I think always makes for better photos compared to when people are asked to hold an unnatural stance.